When I talk with new homeschool families about curriculum, or compare notes with seasoned homeschoolers, I always recommend Institute for Excellence for Writing products. I truly believe these should be a part of every educational/learning journey! This company offers excellent teaching and learning products which are truly college-prep quality that not only focus on writing skills, but reading, note-taking, speaking, thinking and study skills, entrepreneurship, grammar, music, poetry, literature, spelling, theme-based programs, and tons of teachers resources just to name a few. For review I received a wonderful program that IEW carries that I’ve had my eye on for quite a while called Teaching the Classics DVD Seminar and Workbook by Adam and Missy Andrews. 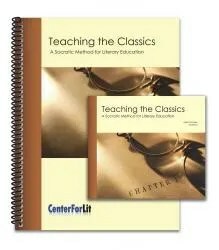 Teaching the Classics, A Socratic Method for Literary Education is a teacher/parent training DVD seminar which is usually given over a whole day and an evening, but is conveniently divided into six sessions so that you may set your own pace. It is also suitable for Jr. High and High School age students to view, and the material and concepts can be used to teach all levels of students. Included in this set is a spiral bound workbook and a 6 session seminar on 4 DVDs which can be purchased for $89.00 on the IEW website. This step-by-step seminar teaches you how to study literature with a wide range of students of differing ages and abilities. The first session covers the “whys” of studying literature. Included in the overview is an introduction by the author of himself and his wife, their academic backgrounds and degrees, their homeschooling journey, and the reasons for sharing their passion for literature and making it “teachable” for the rest of the world. I have to admit this introduction was really the perfect way to ignite what I wasn’t really sure I wanted, needed, or was able to teach. After listening to the first part of session one, I was more than ready to dive in. I was excited! There are over 5 and a half hours of energetic and engaging lectures! 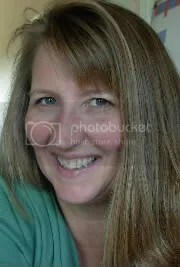 These are far from the boring and stuffy ole college professor you may be thinking of. With the help of a participating audience, Adam leads you to the conclusion that “to experience literature is to see the world through new eyes”. Each of the six sessions focuses on one area of literary analysis. But it doesn’t stop there. After working through the seminar you have all the tools to analyze and study any piece of literature you and your children choose, from picture books to poetry to plays and movies. You can, in fact, apply all you’ve learned to anything that tells a story! The authors even include a book list divided by age groups with descriptions of the stories to get you started. The methodology of this study is based on the Socratic method, which is basically asking questions in the context of the discussion of the literature. The authors have taken this a step further to include an exclusive set of 178 graded discussion questions to help guide you through analyzing the stories you choose to work through with your kids. This list can be adapted to any age, and any story from picture books to poems to full blown full length novels. The authors include a whole section on the Socratic method and how to use this list. You may even pick out only one element for your student to use, or progress through the list as the story unfolds. One of the most powerful and useful parts of this program is the five elements of fiction story chart. This comprehensive chart is covered in detail in the introductory session, and used with each story throughout the seminar to demonstrate how to use it. It is a truly valuable hands-on tool which makes literature analysis easy and fun! There is also a website referenced where you may find many free resources to help you dig deeper and make your study of literature even richer. This study is truly a gem in your treasure box, opening doors to a whole new adventure in you and your children’s journey that you might not have even known was there! Wow, where to begin. I guess it’s fair to start with the fact that I didn’t really enjoy literature or history as I grew into my middle and high school years. I feel the need to clarify here a bit, because my Mom did read me tons of books at an early age and I did love to read anything and everything in my earlier years. She also did a great job of discussing and, looking back, analyzing much of what we read. But as I grew older, I never had the passion for classic literature or historical works, and only went through the motions to make the grade. I have never really been a big fan of fiction, but rather have spent my time reading more non-fiction informational material. While I do have an appreciation and understand the significance of these integral parts of our multi-faceted education, I just never really developed a taste for more. I have always read and discussed books with my kids from the time they were babies. Kids stories and good literature just seem to me to be an integral part of growing up. I love seeing them develop their own tastes in literature and have tried really hard to nurture that as they grow older. My middle and high school girls both read (more like devour) all kinds of literature. While they mostly enjoy the more contemporary literature, they have ventured through many old classics as well. Last year I began to search out a formal study of literature analysis for my high schooler and found a wonderful study. While it was a very well put-together study, she seems to have my distaste for old classics. But one of the biggest reasons I wanted her to study literary analysis was because she loves to write. She and my middle-schooler are phenomenal writers. Coupled with their love for reading, I believe learning to analyze literature will take them deeper and add a richness to their own writing that they might not obtain from just studying composition. My high schooler’s journey through literature analysis has definitely enriched her writing. 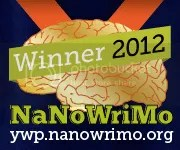 I truly believe that writing, reading and speaking all go hand in hand. When I received the materials, I was psyched and ready to dive in. I must say that Adam is a very engaging and conversational lecturer. I love the references to his family, his own experiences with homeschooling, and the Christian character he shows. I love the seminar formatting with the interactive audience of parent-teachers and some older kids. I love the way he jumps right in to explain why,who, and how, and then outlines the details. I love that he and his wife are both highly educated homeschooling parents with a desire to share their knowledge, their gifts and their talents with the rest of the homeschooling community. Now before you start to think that this program is just another motivational, pat-on-the-back for homeschooling your kids program, I will dive into the nitty-gritty of it. First things first- you MUST carve out the time to sit and concentrate. This is not a program to listen to while cooking dinner, or with constant interruptions from the kids, the phone or the doorbell. You need to pencil in the time to sit and work through these sessions just as if you were in a college classroom, or sitting in the same room with Adam answering his questions along with the other parent-teachers. In my opinion it’s not something you can sit and listen all the way through, as in taking a weekend to do it. While the actual seminar is given in a day and a half, the material gets pretty overwhelming to listen to for hours at a time. I did listen to and work through the first three session in the first week, but then spent a whole week on sessions four and five and two full weeks working through the sixth session practicum. I should note that while working through the practicum (putting the first five sessions into practice) I did go back through many of the prior lessons to clarify and refresh and dig deeper to put together all of the elements. I am not super pleased with my results and definitely need much more practice to be able to feel comfortable analyzing more literature successfully. The best part, though, is that all the information you need is right there and easy to use. It just takes focus, time and attention! My opinion on using this with your students: while this program would be great to use with middle school and high school students listening with you, I would suggest listening to it yourself first, and then working through it alongside them. The study would also work for independent study, to use over a six to nine week period, but the discussion questions are really essential to learning. It is easy to schedule as much or little as you desire using the session format layout in the front of the book along with the Socratic list of questions. The authors include a discussion and guidelines on scheduling and daily lesson plans. They feel very strongly about not doing a formal literature lesson every day, but instead allowing for informal reading for pleasure. (I can attest to this recommendation as my high school student is so burned out from reading so much literature for history in addition to literature analysis and other subjects that she no longer enjoys reading for pleasure. I hope a break from such heavy reading will fan the flame again!) There is also a scope and sequence section included which gives further recommendations on scheduling. One important element to consider is that it is very necessary that you have read the books and materials yourself, and asked and answered the questions you want to discuss with your student(s) first. This is really one of my biggest challenges with my schedule, as I don’t have much time for reading myself. I am going to try to work alongside my students, rather than teaching it classroom style. I think it will work for us in this way. I worked through this study myself, and my high school student will be working through it the first nine weeks of this fall semester. I am anxious to hear her feedback since she has already been through a literature analysis course. After my high schooler has covered the material, I plan to work through it with my 8th grader. There are also many elements that I will be using with my 2nd grader. I have used classical literature story element study with him from the beginning using another IEW reading program, and am absolutely thrilled to understand how to continue to point him in this direction from the beginning. This program is a wonderful way to begin educating even the youngest student. While Adam warns not to get too carried away too soon, viewing this seminar when your kids are still young will set you up to hand them the moon as they grow older. Click on over and read my Crew Mateys’ reviews of this and other excellent products!! Before I go I’d like to mention a few other IEW products we use and highly recommend. We also had the opportunity to review IEW’s Primary Arts of Language reading and writing program. Until we got our hands on this, Levi was struggling pretty hard to learn to read. This program came along at just the right time and we found sweet victory in our reading journey and have continued on with it, using it to its fullest potential. I highly recommend using this program if you have kids ready to learn to read or struggling to learn to read! There is so much help and support and lots of videos covering the programs, helping you discover the best fit for your family and individualizing your own program using many of the IEW materials over at the website. There is a wonderful IEW Yahoo group you can join dedicated to IEW materials for questions and learning, and even some free files to go along with many of the programs. I’ve gotten some amazing information and support from this group through the years! Take some time to discover all that IEW has to offer! You’ll be so glad you did!